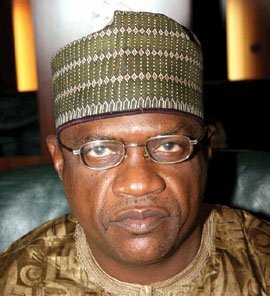 The Yobe State Governor in north-east Nigeria, Ibrahim Gaidam, has approved the employment of 35 professors from India and the Philippines. They were recruited to teach and research desert encroachment, which is threatening the environment in parts of the state. Although the government says it is committed to building a 21st century university, it has been unable to recruit any competent Nigerians due to security fears and ideological challenges posed by the Boko Haram, an Islamic sect opposing so-called ‘western’ education, including academic programmes in the state-owned university. Observers believe the governor is taking a risk, and at some stage will have to confront extremists who have vowed to impose Islamic education, based on the strict tenets of the Koran and the Hadith, in north-eastern Nigeria. According to reliable sources, Gaidam recently met Nigerian President Goodluck Jonathan about the reluctance of lecturers from other parts of the country to work at the Bukar Abba Ibrahim University, in the Yobe capital Damaturu. Gaidam apparently told Jonathan that Prof. Musa Alabe, BAIU’s vice-chancellor, had advertised for university teachers and researchers to tackle the problem of desertification spreading southwards at 600m per annum, a worrisome development for the state. As there was no response to the adverts, he pleaded with the President to facilitate the arrival of 21 Indian and 14 Filipino professors, who had been interviewed in their countries and found suitable. The President instructed the education minister to liaise with the National Universities Commission and ensure the expatriates were allowed to undertake research at BAIU. The first batch of foreign lecturers recently flew into Lagos, accompanied by tight security all the way to BAUI. The second batch will arrive before the end of the year. There is currently a battle for supremacy between two schools of thought on education in the country – which has 130 public and private universities – particularly in north-eastern Nigeria, home to BAUI, among others. The ongoing feud will eventually determine whether people in the region will sink further into abysmal poverty or apply formal education to raise the standard of living.